Drive your car hard? Then you should consider fitting a car fire extinguisher. We review seven of the best fire extinguishers available today. Why do you need a car fire extinguisher? In the interests of safety, it is always advisable to carry a fire extinguisher in your car because you never know when you might need it. Between 2003 and 2007, there were 280,000 car fires in the USA each year, causing 480 deaths. By taking precautions and keeping the best car fire extinguisher in your automobile, then you can raise the chance of putting out any fire, large or small and save yourself, your family and your passengers. You can also reduce the level of damage to your vehicle. Car fire extinguishers have the same capacity as regular models but they are more compact, leaving much needed storage space in your vehicle. DIY fan? Work under your car? Our car ramps buying guide is written just for you. By keeping this indispensable device in your car, you can control accidental blazes before calling the Fire Department. In a roadside emergency, a car fire extinguisher is mandatory because a firefighter may not be able to reach you in time. Which car fire extinguisher you need depends on the type of vehicle you drive. Hit play on this video to see the Mighty Car Mods boys fitting a car fire extinguisher. Fire safety experts have found that leaking fuel is the most common cause of car fires. Older cars containing carburettors may have worn out fuel union gaskets or the float level may have been set incorrectly. Modern vehicles with fuel injection systems can have O rings which form a seal on fuel pressure regulators and fuel injectors. These then deteriorate over time, leading to fuel leaks. When leaks happen, fires can start in several ways. Poorly insulated spark plugs can cause a spark which then ignites the leaked fuel or the fuel may leak into the exhaust manifold, leading to a chain reaction that can set the car on fire. Gasoline is highly flammable, so it can be easily ignited from a spark. And when it reaches 495 degrees Fahrenheit, spontaneous combustion can even occur. One of the most common reasons for domestic infernos is also a leading cause of car fires. When the electrical circuit shorts, the wire can overheat. In extreme heat, spontaneous combustion can happen, which starts a fire. This is more common in older vehicles when their wirings pass through a hole in a panel, causing chafing, then exposing the wires, which come into contact with metal parts of the car. If an aftermarket electrical component is incorrectly fitted, this can also lead to electrical fires. Occasionally, the grounding cable which links the car’s frame to the engine can be broken or poorly connected. This sends electricity back to the battery, leading to the throttle cable overheating. The car’s battery can be a problem too as the charging cycles can lead to the build-up of hydrogen gas. Electrical current from the battery then produces sparks, igniting the gas. The engine overheating does not usually cause a vehicle fire by itself but the pressure building inside the hot chamber can propel accelerants through the joints and seals of the tubes running through the engine. So, if oil or coolant lands on a hot part of the exhaust, then a fire can start. The engine may also overheat because there is a fault in its software. The inside of the exhaust can get very hot, over 1650 degrees Fahrenheit, so if there are leaks in the system or the heat shields are damaged or discarded, then a fire is more likely to start. Catalytic converters can also get very hot and some Californian wildfires were started by vehicles that were parked on parched grass. Because they work so hard to burn pollutants in the exhaust system, catalytic converters can overheat and ignite the upholstery and insulation in the car’s cabin. Many of the fluids used in vehicles are flammable, such as fuel, transmission fluid, brake fluid, engine oil, engine coolant and power steering fluid. The liquids flow through a network of cables, which can be damaged. Then if they land on a hot part of the car, they can set it on fire. Electric and hybrid vehicles are prone to battery problems. Despite being billed as the safest car ever, the Tesla Model S still caught fire. Several prototypes of General Motors’ Chevy Holt also went up in flames during crash testing. Their high-tech design notwithstanding, the batteries are still vulnerable to punctures, which can then start a fire. Arsonists, vandals or thieves may set your car ablaze to cover their tracks or insurance fraudsters may set their own vehicle alight to claim compensation. Not all crashes end in a fireball but heat and spilt flammable liquids can start a fire. Some motorists do not see the importance of basic car maintenance. Broken parts, faulty wiring or damaged seals can all contribute to an automotive fire. You should also refrain from smoking inside the vehicle without using the ashtray as stray embers may fall on the floor and lead to a minor conflagration. A design flaw may not lead directly to a car fire but it can create conditions conducive to a blaze or set the process in motion. Manufacturers do sometimes recall vehicles if they are aware of design flaws that are fire hazards. 1. 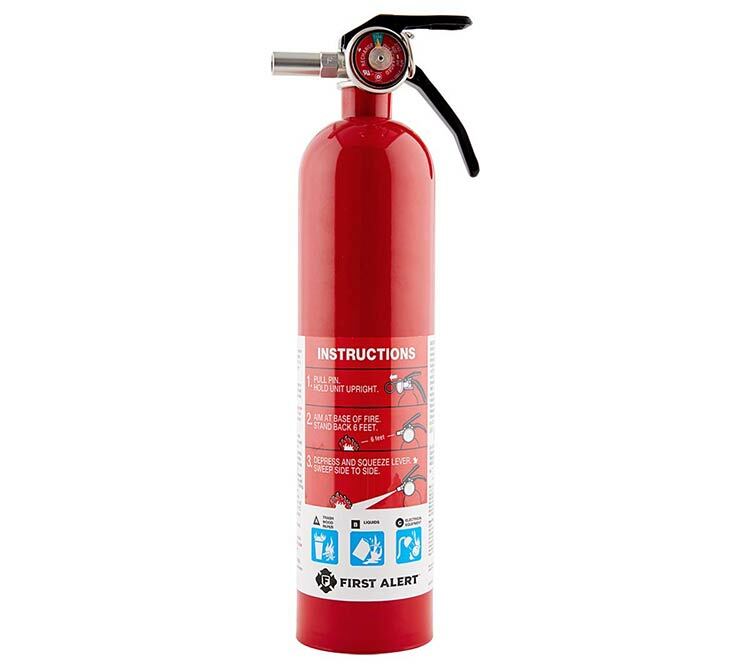 Class A: This extinguisher contains monoammonium phosphate and deals with ordinary combustibles such as: wood, paper, fabrics etc. 2. 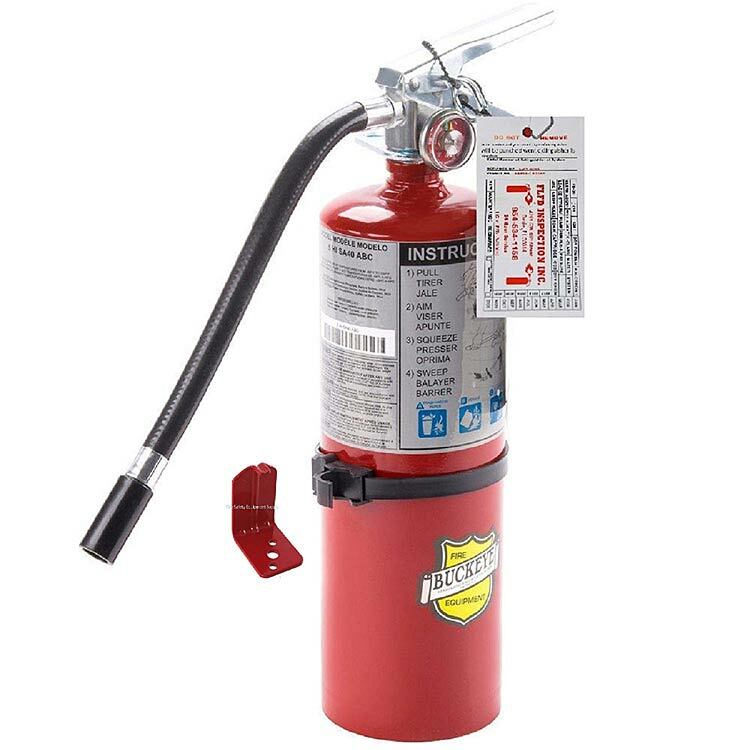 Class B: This car fire extinguisher is comprised of monoammonium phosphate or sodium biocarbonate and deals with flammable liquids, such as gasoline, oil and paint. 3. Class C: This device is used to extinguish electrical fires, which are more common in modern vehicles. An ABC car fire extinguisher is essential. You just need to point it and shoot it at the fire to quickly put it out. Lightweight models are preferable: a 1 or 2kg car fire extinguisher is enough to put out a fire in a small vehicle and can be kept in the footwell. Smaller extinguishers should be kept within reach. If you make the mistake of storing it in the trunk, this wastes vital minutes, so you may compromise your safety and that of your passengers. Durable metal devices are best suited to vehicles as a fire may start after a collision. Dry powder extinguishers are recommended because they suppress the conflagration and stop it from restarting. Headlights looking a little dim? Our best headlight bulbs guide is written just for you. Some products are sold with a mounting bracket, which stops the car fire extinguisher from rolling around and being damaged. Larger vehicles such as SUVs and trucks require bigger items, which can be stored away in the trunk, or held in vehicle fire extinguisher brackets or boxes. A car fire extinguisher is also necessary for rally cars and they are affordable enough for you to buy several devices. So in order for you to make your choice, here is our list of the best car fire extinguishers for 2018, which are all available to purchase from www.amazon.com. This versatile product may be designed for domestic blazes but it is dependable enough to use outside the home. It is ideal for extinguishing fires involving flammable organic materials, to liquids and electrics, so it is a must for your vehicle. 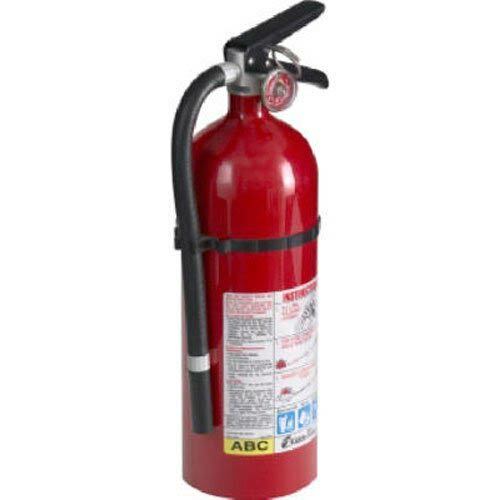 This multi-functional fire extinguisher is designed for extinguishing ABC fires and is capable of putting out wood, paper, trash, plastic, gasoline, oil and electrical equipment fires, as it contains monoammonium phosphate extinguishing agent. Its heavy-duty durable construction features a commercial-grade metal valve and trigger and is completed by a mounting bracket, so no need to buy additional equipment. The metal pull pin includes a safety seal to help prevent accidental use and tampering. Fire Alert complies with standards set by DOT, OHSA and the Bureau of Motor Carriers. It has also been approved by the US Coast Guard for marine use because it is corrosion-resistant and complies with industry-leading standards on safety and quality. You just follow the instructions on the waterproof label and the SureGrip mechanism and a color-coded metal gauge make it a cinch to operate. This device is rated rated 1-A: 10-B:C by Underwriters Laboratories (UL). This independent facility tests products for compliance with widely-accepted safety standards. Its ability to recharge makes it a practical option and its features have been verified by professionals. This chemical fire extinguisher contains sodium bicarbonate halotron 1 extinguishing agent, so it is suited to putting out type B and C fires. It is small and compact, measuring 10 inches in length, 3.6 inches in width and has a depth of 2.6 inches. Weighing in at a modest 1.4 lb, it makes an ideal car fire extinguisher as it is easy to use and will not take up much space in your vehicle. Proving that you get what you pay for, the H3R Performance car fire extinguisher is a high-quality steel cylinder, featuring an all metal valve construction. It contains liquefied gas so it does not impair the user’s vision. This device is perfect for extinguishing hard to reach fires and it has a discharge range of six to eight feet. It creates no thermal shock to electronics and will not damage your car or its surfaces and it does not harm the environment. And what’s more, it is made right here in the USA! The extinguisher comes with a steel strap and mounting bracket, so it is easy to assemble and store away. It is completely rechargeable and is backed by a Five Year limited warranty and has a UL Rating of 1 B:C. Finished in shiny white chrome, it will make a classy addition to your vehicle but it is definitely not a case of style over substance! This is the largest car fire extinguisher on the market, measuring in at 4.5 inches in diameter and 15.7 inches tall. It is not designed to be kept in the cabin but you can store it in the trunk using the included wall hanger or tie it to a roll cage if you are in a race car. This dry chemical product contains monoammonium phosphate and provides multi-purpose protection. It is capable of putting out Class A, B and C fires, so you can keep different blazes under control in your vehicle. The Kidde Pro / Commercial 210 Fire Extinguisher includes clear instructions and features a gauge indicating when it is fully charged and ready for use. It is fast and powerful with a discharge time of 13-15 seconds, a discharge range of 10-15 feet and it operates at 100 PSI of pressure. Constructed from lightweight, durable aluminium, it includes metal handles and levers and a sturdy chrome-plated brass valve. It is coated with powder to make it corrosion resistant and it is UL rated 2-A:10-B:C.
It incorporates an easy to read pressure gauge, so you can check the status at a glance. This item is excellent value for money as it is fully rechargeable and comes with a Six Year Limited Warranty. It is also suitable for residential use and low hazard areas, such as offices, schools, churches and hotels, or for marine use when fitted with an optional mounting bracket. 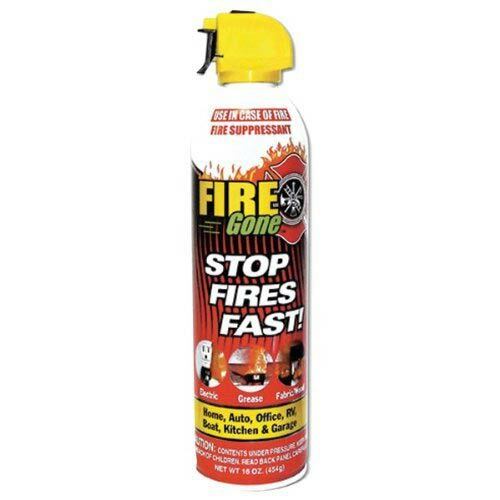 The Fire Gone Suppressant is in the form of an aerosol can, so you can keep it in the car or take it with you! It features Aqueous Film Forming Foam technology which extinguishes A, B and C fires, making it a must-have tool to combat car and domestic blazes. It is easy to use, all you do is point and spray. The nozzle shoots a steady target stream and coats the fire with foam. It contains biodegradable material which is not harmful to you or the environment. The lightweight can is durable and compact and is wipe clean. The Fire Gone Suppressant is a convenient alternative to traditional fire extinguishers as it is portable and it’s so cheap, you will want to buy more than one! This versatile product can be used practically anywhere, including your car, home, office, boat, or forklift truck! It is a dry chemical extinguisher and puts out Class A, B and C fires. The device comes in a sturdy canister with an aluminium trigger, so it is built to last. It is fully rechargeable and has been tagged and certified, ready for a fire inspection. You just mount it in your car using the included bracket. This is the best car fire extinguisher for flammable liquid and live electrical fires. You can spray it directly at gasoline, oil, grease and electrical blazes to safely and quickly put out the fire. It features a large, easy to follow pressure gauge and includes a mounting bracket, so it can be fastened under your seat. This places it within reach in the event of an emergency and gives it extra stability to prevent damage to your vehicle. 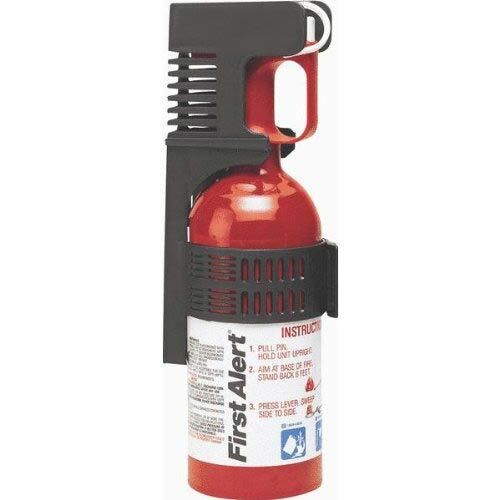 The First Alert Auto Fire Extinguisher has a UL rating of 5-B:C and a Five-Year Warranty. It has a small and compact design and its low cost is an easy price to pay for peace of mind when traveling. 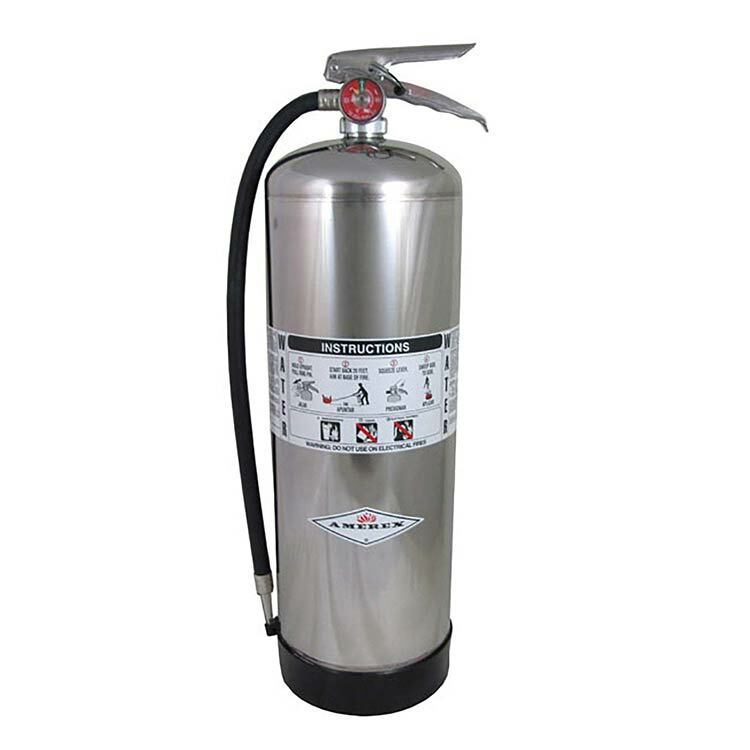 This heavy duty 2.5 gallon water fire extinguisher is ideal for your RV. It has a stored-pressure design, allowing it to put out ordinary combustible fires, not electrical ones. The durable stainless steel canister is chemical-free, you just fill it with water and air to extinguish the blaze. This product has an all-metal valve structure and features a hose, nozzle and pull pin, so it is easy to operate, even for new users. The discharge time is less than 55 seconds, and it leaves no powder residue behind. It has a UL 2A rating and also complies with the National Fire Prevention Association (NFPA) 10 standard for International Organization for Standardization (ISO) use. The Amerex Class A Fire Extinguisher comes with a wall bracket, so you can also use it at home. It also includes a detailed Owner’s Manual explaining how to instal, use and maintain the extinguisher and has a Five Year Manufacturer’s Warranty. Accessories such as mounting brackets are essential buys if the car fire extinguisher you choose does not include one. They can be bolted onto your seat or kept in the trunk in the event of an emergency. Available in a range of different sizes to fit your car, there are also models suitable for off-roaders, which can be securely fastened onto the roll bars. Replacement filters, pumps, clamps and screws for your car fire extinguisher can also be bought separately from www.amazon.com. Vehicular blazes are very common. According to the NFPA, one car in the US catches fire every two minutes. If you smell burning or see smoke coming from the hood, then immediately pull over when it’s safe to do so. Otherwise, the fire could intensify and place you in further danger. Make sure that you apply the brakes, then switch off the engine to prevent any more fuel from igniting. Next, get everyone out of the car and stand a safe distance away (at least 150 feet). Then call 911 and wait for the Fire Department to arrive. You can also place triangle safety warnings in the windscreen to alert oncoming traffic. If you have purchased one of our recommended car fire extinguishers, then you will be well prepared and you will be able to detect fire or smoke. 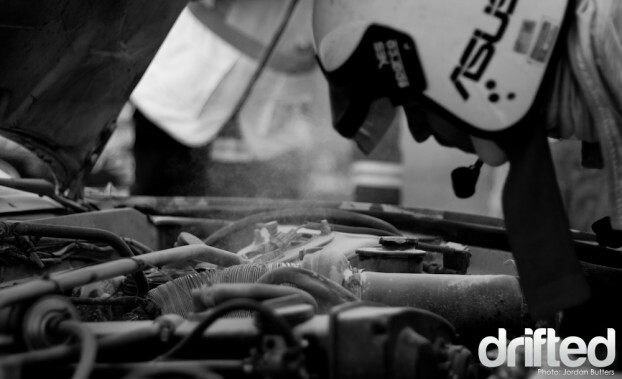 However, if it’s coming from the engine bay, then don’t open the hood fully as the increase in oxygen will lead to the fire spreading rapidly. Just open it slightly, stand well back, then spray as much of the extinguisher inside as you can. But, if the smoke or fire is emanating from the rear of the vehicle, then don’t bother extinguishing it. Just move as fast and far away from the car as you can because it could explode at any time. All vehicles contain electrical wiring systems in close proximity to combustible fuel and an engine that generates heat, so you have all the necessary elements to start a fire. But if you buy one of our recommended car fire extinguishers, then you will be ahead of the game and ready to put out fires, limit damage and save lives.